Acquiring high search engine rankings, especially in Google, is the key to success of any business whether online or brick and mortar. The process of changing your web pages so that search engines find them relevant to user search queries is called search engine optimization (SEO). High search rankings are the perfect way to get more targeted website leads into the funnel and more sales. Not all business owners are aware of this. 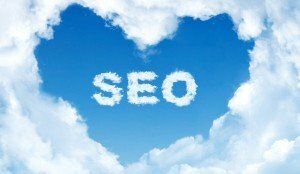 Here is how to show your boss the importance of SEO. Optimization strategies works for your business 24/7, 365 days a years versus traditional ads on the radio, television and newspaper which are time sensitive. Potential customers are on the Internet shopping everyday looking for products or services that you offer. Americans spend billions of dollars making purchases online. These people could be your customers if they find your website. Your customers use search engines and are familiar with the most popular search engine, Google. Search engine optimization makes sure that potential purchasers find your company website instead of your competitions site. Search engine users are some of the most well qualified and motivated visitors that a website can acquire. Consumers usually take the initiative to search for online resources on a certain topic including company, product or service reviews and then click on a potential link to learn more. 44% of online shoppers begin by using a search engine. (Interconnected World: Shopping and Personal Finance, 2012). 75% of users never scroll past the first page of search results (MarketShareHitsLink.com, October 2010). If you do not optimize the web pages on your company site, then those pages will not obtain high rankings and will not be clicked on. You will not benefit from SEO and it’s as simple as that! Not all business websites can have high rankings and competition among keyword phrases can be extremely competitive but the payoff is worth it. Search engines only list web pages that they find relevant to a keyword or keyword phrase. You must make sure that your website is such a site. Your competition is not sitting on the side line waiting to see what others will be doing. If search engines cannot find out that your website is about accounting services, search engines cannot give your website high rankings for any of the keywords phrases associated with your business. Therefore, your site will not benefit from additional targeted traffic SEO can bring. The benefit of search engine optimization is that it also helps you to get more customers. So, the next time you get a question, “How can our company benefit from SEO?”, you can direct them to this post of why it is so important in this digital age for selling products or services online. It could make or break your business. If you are looking for SEO services or local SEO services, give us a call. We would love to grow your business online.